Date is exactly "1918 July 30"
Informing Byoir that the African American newspapers of the country are expressing gratitude for authorizing use of black nurses in the war effort. 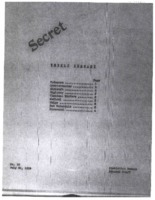 Secret report on the wartime strength of the United States. 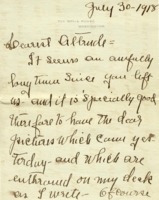 $120 draft to Milton B. Ochs' account by Adolph S. Ochs Jr.